What is the 2018 World Oil Drilling Activity Outlook for the US and Internationally? 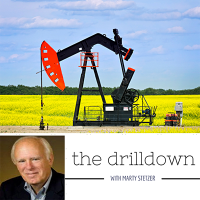 This Drill Down episode gives a 21 minute executive summary of the annual World Oil breakfast. It was held in Houston on January 26th and covered their outlook for global drilling activity. We welcome back Joe Perino to this podcast. We do not cover the extensive amount of data presented at the breakfast. You can access the details in the February 2018 issue of World Oil, or on their website. We do present updates since the World Oil breakfast, and some of the recent business changes that can affect the data. The so-called words behind the music! 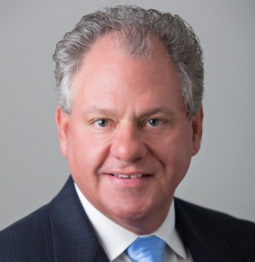 President & CEO of PERTEX Management and Technology Consulting LLC, Joe has over 40 years of experience in upstream, midstream and downstream. He has worked in engineering, maintenance, sales, marketing and business development, and technical, IT and management consulting. Joe started his career with Diamond Shamrock as a process engineer, then spend 20 years with process automation and supply chain technology suppliers Emerson, Honeywell and i2, before joining the consulting ranks with IBM, Logica North America, KBC Advanced Technologies, and Schlumberger Business Consulting. Joe was involved early on with the Digital Oilfield concept and has consulted on production efficiency and effectiveness improvements for KOC, Pemex, Petrobras, Sonangol and Statoil, and was a member of the Shell Smart Fields and Chevron iFields teams while at Schlumberger. Today he focuses on using technology to improve the business as Digital Oilfield (DO) has evolved into technology-enabled Operational Excellence and now sees IoT, Big Data and Analytics as the next step in the evolution in DO. He works with several firms as a content contributor, in business development and as a podcaster on EKT Interactive, Inc. Joe holds an B.S. in Chemical Engineering from the University of Notre Dame and an M.S. in Finance from the University of Houston. He has also completed executive education at Northwestern’s Kellogg School of Management and Harvard Business School. He is active in the AIChE, ISA, COS, NOIA, OESI, SPE and Oil Council.